If you follow my blog, you know that I like to promote local business. As a small businessperson myself, I know that I can provide great service to my customers, patronize other local firms that provide photography, staging, painting, appraisal, and other services, and still make a decent living while keeping costs in check. When you talk about the value of buying local, it is easy to relate when you're talking real estate. That gets you where you live – literally. Real estate is local. In the words of the current Zillow commercial, when you buy a home, "You're not just looking for a house, you're looking for a place for your life to happen." If Louisville is where you make your home, the prices of property are important to you, but so is the general prosperity of the city. You want to live in place where the streets are safe and not full of potholes, the air is clean and safe to breathe, the schools will help your kids excel, and the parks are well kept and inviting. You want great shopping, great features, and plenty of things to do. There is an intricate relationship between what the city has to offer and the vitality of the local economy. Nationally-based businesses tend to set up shop in cities with great infrastructure and a good customer base; when they do well, they pay more taxes to support the city. 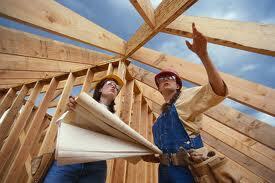 In addition, a prosperous economy open up opportunities for small businesses to get started and prosperous too. When you live in Louisville, Kentucky, you know that most of the month of April is devoted to preparing for the Kentucky Derby that is held on the first weekend in May. The event attracts 100,000 visitors, many from out of town, and brings well over $200 million to the city. Many of the events so associated with the Derby are underwritten by corporate sponsors to ensure plenty of activities even for people who don't attend the race. You might say, "if you live in Louisville, why wouldn't you go to the race?” Going to the event is a pricey affair. The celebrities who sit in Millionaires Row, decked out in pricey hats, pay $5,000 for a seat and a buffet lunch. Tickets to see the race at Churchill Downs start at $65 per person for admission to the infield. 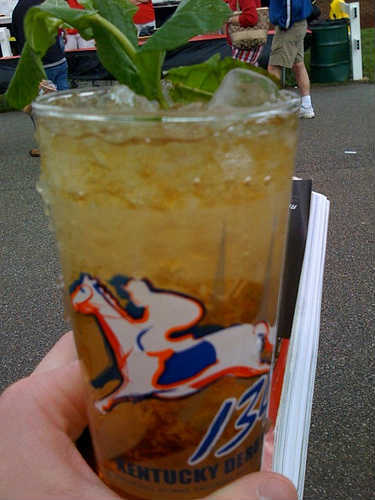 Few attendees in the infield can see the race, but enjoy the spirit of the day, fueled by $11 mint juleps, hot dogs, barbecue sandwiches, Derby Pie, and other fare. Many Louisville citizens prefer to celebrate the event in bars or at backyard parties. Even if you aren't planning on attending the horse race itself, there is plenty to do to get you in the spirit. In the weeks preceding the Derby, the city hosts many events that are free to the public. The only requirement is to buy a five dollar Pegasus pin available throughout the city. Once the pin is registered, pin holders are free to come to at least 30 other free events. Amidst the parades, marathons, golf events, festivals, winetasting, and dinners that will continue through May 4 are many charity events. Some non-profits earn much of their annual budget from Derby-time fundraisers. Which Home Defects Are 'Deal Breakers'? With the spring real estate market in Louisville much hotter than the weather, you might be ready to join the frenzy and buy or sell your home. Inventory is low at some price points in some locations, so if you put your home up for sale, you might find that it is quickly scooped up by an eager buyer. As a home buyer, you might have to settle for a great home that doesn't match all of your wish list items, and even then, may be in a multiple bid situation with other house–hungry buyers. A couple months ago, we wrote about the importance of home inspections and the problems that the inspector might turn up. Now that sellers are rushing to get their homes on the market to take advantage of the current boom and buyers are considering homes with potential, what types of problems are deal breakers? No home is perfect, but certain types of problems are serious enough to send buyers packing and force a seller who thinks he has a deal to renegotiate the selling price. Foundation problems. 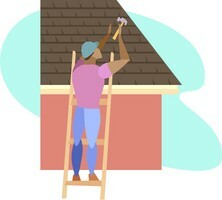 The home may show a few minor cracks after settling but larger cracks may mean expensive trouble. Termites or other pests. Current or past infestations of termites, carpenter ants, and other pests may weaken their home’s structural integrity. Wiring issues. Old wiring such as knob and tube or aluminum may present a fire hazard, while the fuse box or circuit box may show the wiring is inadequate for modern appliances.